Now, here's June and all I have to show for it is one measly post from the first day of the month. I was on vacation too, so one might think there was time to write more. In that regard, I did spend a lot of time on a story for City Paper about the Pittsburgh Music Ecosystem Project, which ran in last week's issue. I thought it might get some attention and comments since the whole project started some fires on social media. But that didn't happen. Of course, Pittsburgh was reeling from the shooting of Antwon Rose last week, and the general malaise that came with the whole detainee issue. As my last post mentioned, Jaimie Branch came to town with Fred Lonberg-Holm (cello) and Stoli L. Sozzleberg (drums) on June 1. The group was improvising loosely but it held together really well, going from completely lose, sprawling sounds to melodies that almost sounded like ballads. All through it, Branch was great, straddling smears and noises with bold exclamations and even breaking into melodies that sounded like composed ballads. Sozzleberg seems to show just a little too much restraint at times, but Lonberg-Holm played a great blend of complex lines and unnerving scrapes and squeals. The week of June 11, my son and I flew out to Denver to visit my brother and his family. He's lived out there for about 30 years now and this is the first time I ever went out there. Crazy, for sure, but I'm not much of a traveler. Among the sites we saw, we made it to Red Rocks, though we unfortunately couldn't go onto the stage because they were setting up for a concert. But we did get a good look at the space and all its surrounding beauty. I'll tell you what, pictures don't do it justice. But I'll try anyway. While in Denver, I did get a chance to stop at both Wax Trax and Twist & Shout, two record stores. The latter was huge, with a lot of new stuff and a lot of movie/pop culture stuff for sale along with the records. But Wax Trax was more of a hardwood floor place, with stacks of used records at the end of aisles and maybe a little dirt on the floor. The West Coast jazz bug was still biting hard on me, as I was in the midst of Ted Gioia's book on that very subject. I was hoping to find Bud Shank's New Groove album at a price cheaper than what I saw online. By finding that I will have almost all of his '50s/early '60s Pacific Jazz stuff. That was not to be but I did pick up: French horn man John Graas' self-titled album on Mercury: the Gerry Mulligan Songbook on Pacific Jazz, largely on the strength of having both guitarist Freddie Green side-by-side with bassist Henry Grimes; and pianist Claude Williamson's Keys West album on Capitol, part of the "Stan Kenton Presents" series. Twist and Shout's selection seemed a little more expensive, so when I saw a copy of Chico Hamilton Quintet In Hi-Fi for $11, I thought for sure it must be trashed. But I was wrong. The cover had clear tape on the seams and it was a little bit scratchy but still really nice. Gioia was kind of dismissive of the group in his book, so I thought I should check this out and reexamine them. (I have a few of the other albums and only one of the later World Pacific ones seemed a little light.) Listening to In Hi-Fi I can understand what he means, but as long as Buddy Collette is playing saxophone, things are on pretty solid ground. Getting back from Denver last on Saturday, June 16, and working the next day, I totally missed getting to any of the Pittsburgh Jazz International Festival, or to see the return of bassist Matt Booth to City of Asylum. Last week, though I was back at Alphabet City to see guitarist Marc Ducret, with trombonist Samuel Blaser. Ducret played in a few projects with Tim Berne in the '90s, most notably Bloodcount, though he also took part in a band/album called Caos Totale. He has the kind of dry, skronk style that makes me think of Marc Ribot, but he also uses the volume pedal shifts, a la Bill Frisell. Put that all together, you get something altogether different. In person, Ducret was pulling all those otherwordly sounds out of his instrument like it was nothing. Blaser was a great partner with him, blowing all over the music with and without a series of mutes. He toyed with low, gruff noises but tempered that with some beautiful lines as well. While I wanted to see both shows on Tuesday, I'd never seen Marc Ducret in person before so I figured I could catch Program B of Magnetic Fields and feel like I had my cake and ate it too. The picture above shows the stage. Actually, that's only part of it. This is where Merritt sat, with all the members of the band behind the glass, due to hearing issues that he has. The set is designed to recreate his apartment, replete with vintage lunchboxes and the stuffed animal that appears on the cover of Love at the Bottom of the Sea. The start of the second night was great, kicking off with "The Day I Finally..." The song features Merritt accompanying himself on nothing more than a bunch of percussion. On the album, it sounds like he's wandering around, picking stuff and hitting it randomly. Last week, he brandished what looked like a banjo, with cowbells, a woodblock and a cymbal mounted on it., with everything ready for use. Film projections - which appeared above the band in the vintage circle that says "50 Song Memoir" in the photo - ran the gamut from black and white films about germs ("Weird Diseases") to an actual beating heart ("A Serious Mistake") to candy hearts that poignantly aided the story unraveling in "Lovers Lies." Eventually, it was clear that the attention should focus primarily on Merritt and his Wonderland and not the screen. After the show, I got to say hello to Merritt, who had encouraged me to "come backstage" as we were wrapping up our interview. He has a reputation for not being friendly but he's always been charming with me. Maybe he's a little blunt but that's only because he doesn't go for either inane questions or fawning. This was driven home by Merritt's exchange between a 20-something fan who was introduced at the same time I was. Stephin: I think I'm getting a cold. You should stand over so you won't get sick. Fan: Stephin, I would love if you sneezed on me. Stephin. (pause, but not the typical Merritt lagtime pause): I don't think that's a good idea. Last night, it was back to Alphabet City to hear the Thoth Trio. Locals know all about this trio of Ben Opie (saxophones), Paul Thompson (bass) and David Throckmorton (drums), but I wish folks beyond the city did too. I was just reading the story in the upcoming issue of JazzTimes where people sung the praises of Johnny Costa, the amazing pianist on Misterrogers Neighborhood. Hopefully Thoth will get some national loving soon, not years after the fact like Costa. Last night they played a bunch of new material too, which sounded really solid. Ben was having trouble with his tenor sax and played mostly alto. I like that more, of course, but you wouldn't have known the tenor issue was all that serious. He seemed to be doing okay with it. In conclusion to whole month, I found a copy of New Groove Discogs last week. It was affordable and even in better shape that the description stated. The same day it arrived, I also finished Gioia's book. My hang-up of the month: I checked out the Carnegie Library's copy of Music Written for Monterey 1965, not heard...played in its entirety at UCLA by Charles Mingus a few weeks ago. Now I can't find the goddam booklet that goes with it. I thought for a moment that maybe it was never there, but then I recalled reading the liner notes. I'm afraid it's gone and that I'll have to pay for the CD. But if I somehow left it with you, dear reader, let me know. There is a lot of music happening this weekend. For instance, my bandmate Erin Dawes, from the Love Letters, is debuting with her newest project Go Go Gidget this Saturday at Howlers. On top of that, I had no idea that the Three Rivers Arts Festival is kicking off tonight (Friday night). Also on Friday night, one of the most promising new trumpet players in all of cutting edge jazz is coming to Alphabet City, the live space hosted by City of Asylum on the North Side. The woman with the horn is Jaimie Branch. Last year, I reviewed her debut album Fly or Die here on the blog. It was one of my more effusive pieces of the year, which can be attributed to the fact that Fly or Die was that good. I thought for sure that I would be one of just a few people to notice her. (I always feel like I'm a little behind the curve on things like this.) Much to my surprise, JazzTimes ran a feature on her just a few months later. Branch also seemed to be the one everyone considered Best New Artist of 2017 too. 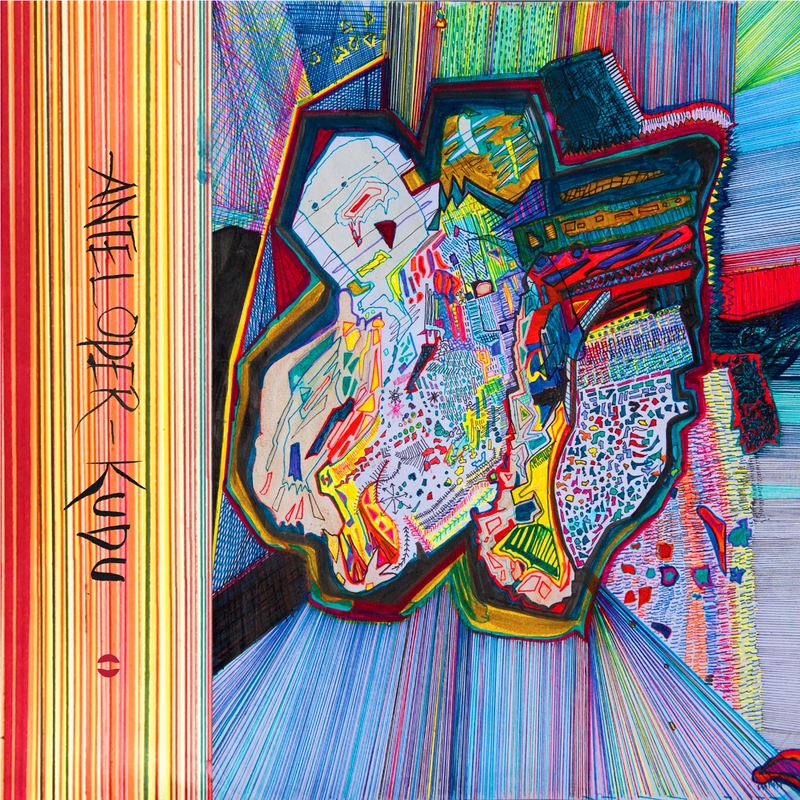 She recently released Kudu (International Anthem), a new album by a project called Anteloper. It features her together with drummer Jason Nazary (who played in Little Women with Darius Jones and Travis Laplante). 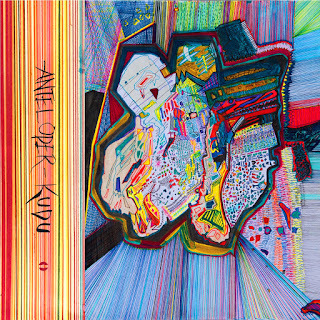 The spare instrumentation might evoke Chicago Underground Duo, and like that group, Anteloper incorporates electronics into the music. But the comparison ends there because Branch and Nazary are all about movement. The album's initial blast of static electricity evolves into solid direction after about 90 seconds. Branch is equally devoted to dirty smears and bright, crisp melody lines. Much like Fly or Die, it's pretty exciting stuff. The album is available as a download or - if you know indie rockers this won't surprise you - as a cassette. Visit www.intlanthem.com for details. Or if you're in Pittsburgh Friday night (aka tonight, techinically), you can check out Branch and pick up a copy directly. She'll be performing with a slightly different unit, which is billed as Party Knüllers X Jaimie Branch. The first part of the moniker refers to the group of cellist Fred Lonberg-Holm and Stoli L. Sozzleberg, who have been performing together around the U.S. and Europe. Branch has played with both of Party Knüllers but this is the first time she's toured with them. The show begins at 8 p.m. and there is no cover but reservations are required. Visit Alphabet City to make reservations and to find out about more shows coming up there.